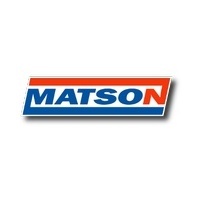 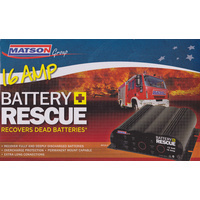 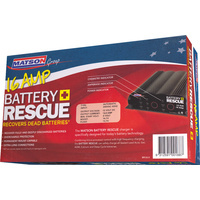 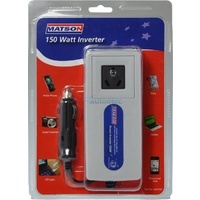 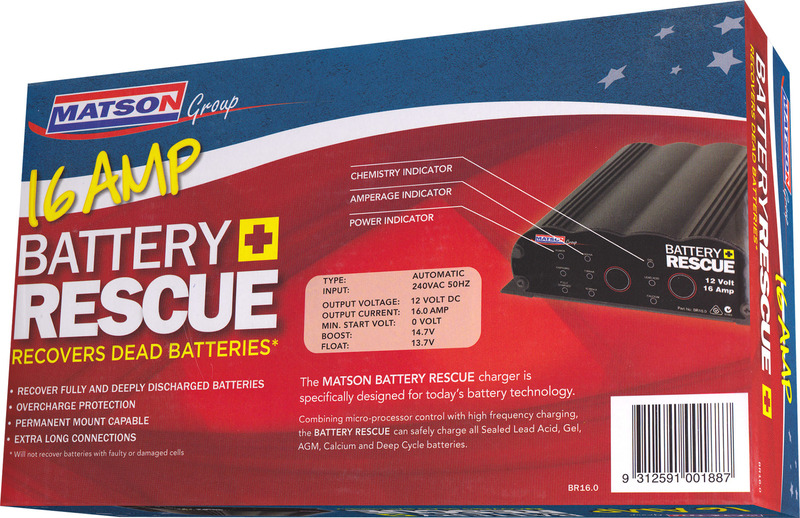 Matson have designed this charger specifically for today’s battery technology. 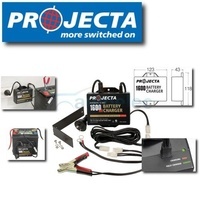 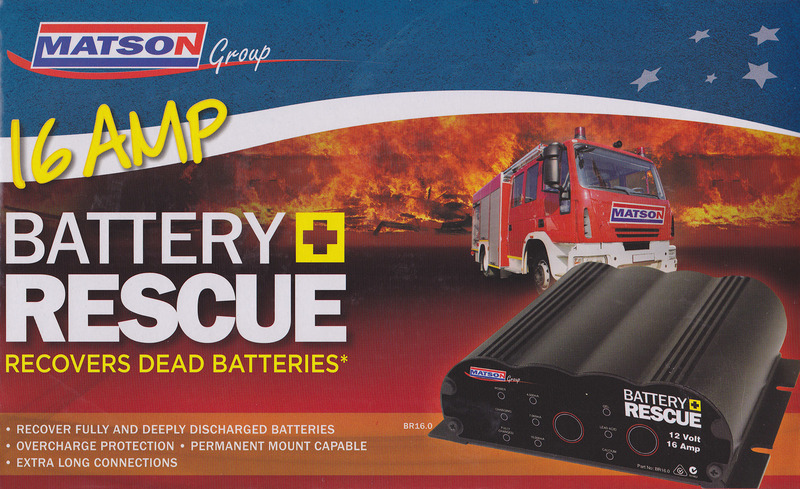 Micro-processor control combined with high frequency charging makes the battery rescue suitable for charging all sealed Lead Acid, Gel, AGM, Lithium , Calcium and Deep Cycle batteries*. 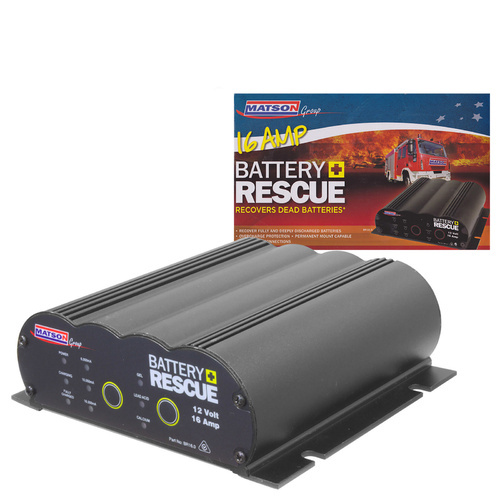 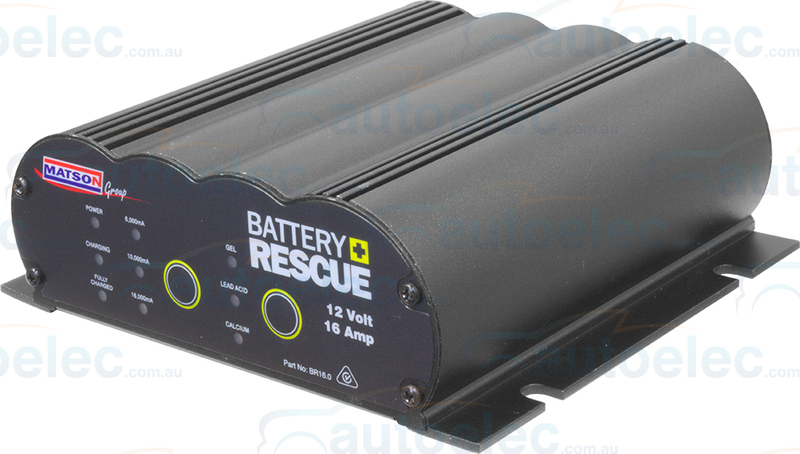 Micro-processor control combined with high frequency charging makes the battery rescue suitable for charging all sealed lead acid, gel, AGM, calcium and deep cycle batteries. 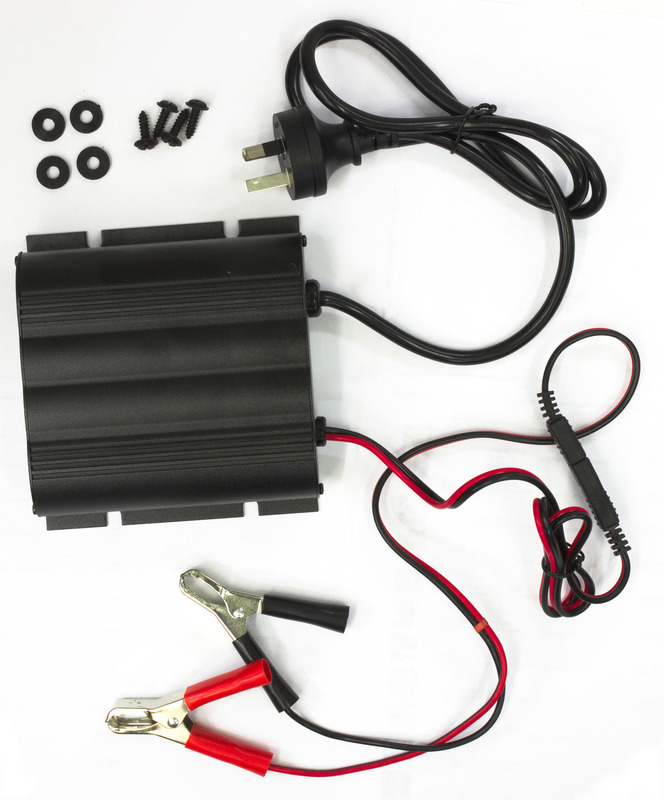 With a 0V minimum starting voltage, the charger is able to recover fully and deeply discharged batteries (providing no faulty or damaged cells) making the unit ideal for infrequently used vehicles such as tractors, boats or show cars. 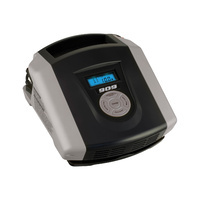 A solid aluminium case makes the unit compact and dust proof so it is suitable for dusty outdoor and damp areas. 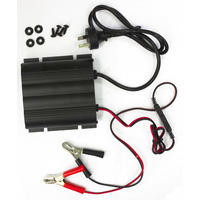 Mounting flanges make permanent installation simple and easy. 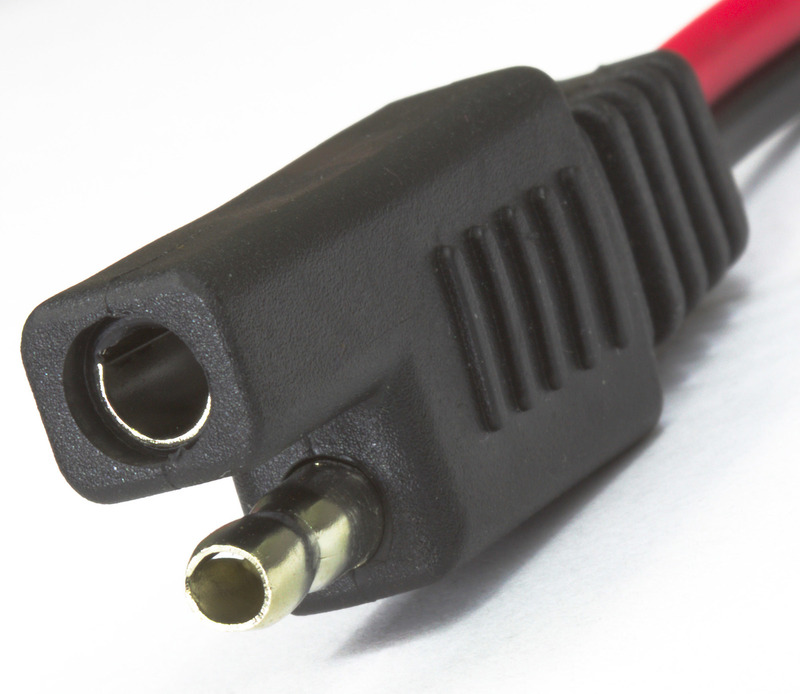 Extra long connections mean you will never be caught short. 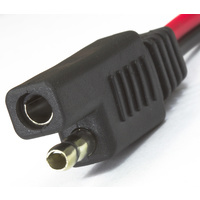 Charging Stage: 3 Stage Input. 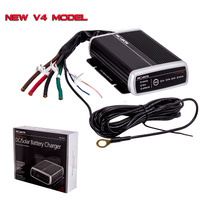 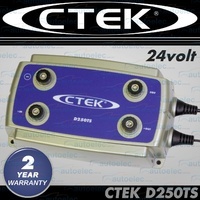 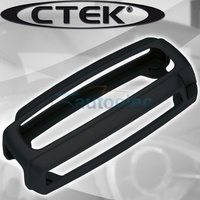 Charge Control: 5, 10 or 16 Amp selectable Min.